If someone’s negligence caused your injury in South Miami, Florida, you may be entitled to compensation. Will a careless driver will have auto insurance in a South Miami crash? Maybe. South Miami is comprised of some well to do areas, and some poor areas. If you’re hit in a well to do area in South Miami, then there then the odds are that the careless driver will have at least $10,000 in bodily injury (“BI”) liability insurance. This is true even though most cars aren’t required to have BI liability insurance in South Miami. You have a better chance of a driver having insurance in a more upscale part of South Miami than you do in Homestead or Hialeah. If a car hits you in the poorer part of South Miami, the odds are that a careless driver will not have BI liability insurance. The poor area in South Miami is located south of University of Miami and west of the Shops of Sunset Place. 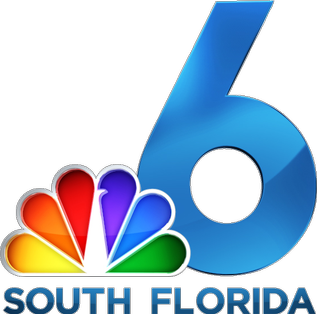 South Miami is located in Miami-Dade County. Thus, Dade County car accident laws apply. Overall, this is good because Dade County is a good venue for injured accident victims. You could do much worse if you were hurt in a rural part of the Florida. Hispanics tend to do better than other ethnicities in front of a Miami-Dade jury. If you’re hurt in South Miami, and you can’t settle your case, you will likely wind up before a Miami-Dade County jury. A claims adjuster or defense attorney may offer you more money if you’re Hispanic. Check out our $18,000 settlement for a lady who cut her face when she tripped on a landscaping edge outside a South Miami, Florida restaurant. Maria (not real name) was driving her car in South Miami. State Farm insured the other driver who caused the crash. Maria didn’t take an ambulance to the hospital. She drove herself to the hospital, where she complained of neck, upper back, shoulder pain. An MRI of her neck revealed a herniated disc. An MRI of her thoracic (upper back) spine revealed 5 annular disk bulges at T7-T8, T8-T9, T9-T10, T11-T12, and T12-L1. Like most clients with a herniated disc, she did not want epidural steroid injections or neck surgery. I was Maria’s lawyer in this case. This is one of my many herniated disc cases with State Farm in Florida. Like it or not, doctors are a huge part of your case. You have a decent choice of orthopedic doctors and neurologists who will treat you in South Miami and nearby areas. You have a better selection of doctors in South Miami than in Homestead, Florida. Are business establishments in South Miami likely to have insurance? Yes. If you slip and fall or otherwise get hurt at a store, restaurant or other business establishment, you want them to have insurance. It may result in a better settlement. The good news is that almost every business establishment in South Miami will have insurance to cover your injuries. This is because many of these businesses can afford to carry liability insurance. Which business establishments are you more likely to get hurt at in South Miami? Let’s hope that you don’t get hurt. But if you do, other than on city property, you’re most likely to get hurt at a supermarket, store, restaurant or mall. The biggest supermarket in South Miami is Winn Dixie. If you’re get hurt at mall, it’s most likely to occur at the Shops of Sunset Place given its size. Sunset Place is part of Simon Malls. 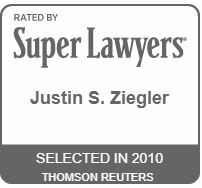 Who is the best South Miami injury attorney? Lawyers aren’t ethically allowed to say that they are the best South Miami injury lawyer. However, I’ve settled many Florida injury cases and have many happy clients. My office is in Coral Gables, which is a 3 minute drive from South Miami. I believe that I am a great choice for your injury case. I can meet you at a South Miami accident scene within 3 minutes of our first phone call. I can do the same if you’re in South Miami hospital or at your home. Once, I took a 40 second walk from my house to take pictures of a restaurant where my client tripped and fell in South Miami. We speak Spanish. Learn more about us.